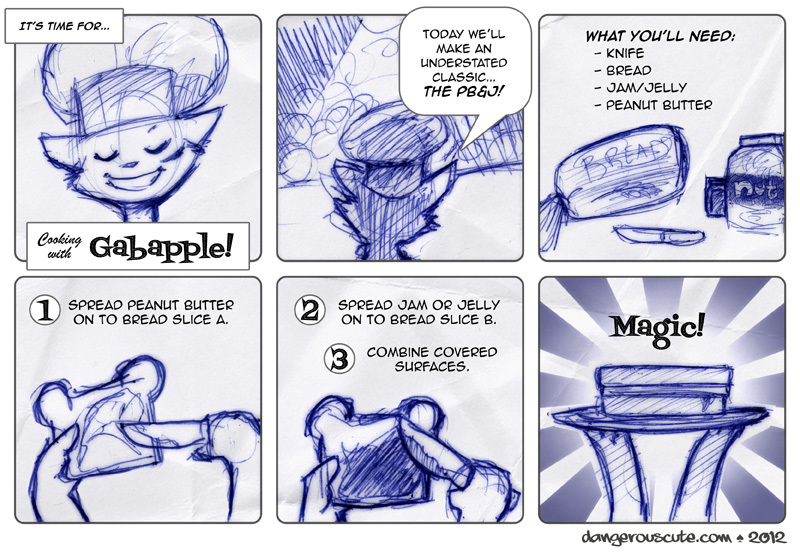 Oh… and the PB&J? We had to write out these instructions during the Advanced Technical Writing course I took in college. Crazy! House? I don’t need no stinkin’ house! I make mine in the park!